Previously, Nintendo announced it will be holding an event in Tokyo on January 12 to share with gamers all they need to know about the Switch. Now, Nintendo has confirmed that a similar event will be held in New York and Paris on January 13, and in Australia on January 14. According to reports, this seems to be a press only five-hour private event, where members of the media will be able to go hands-on with the system, and learn about the release date and price, among other things. Nintendo will be sharing further details about this event at a later date. Meanwhile, people from several game companies and studios have been expressing their opinion of the Switch, so you can find a roundup of those below. Polygon recently interviewed Xavier Poix, who has worked at Ubisoft for 18 years and is the current managing director of Ubisoft’s French studios. During the interview he talked about the Switch and developing for Nintendo consoles based on their particular innovations. You can read the interview over here. During the Credit Suisse 2016 Annual Technology Conference, Take-Two president Karl Slatoff commented on a variety of topics and briefly touched on Nintendo and the Switch. Slatoff said that “The folks at Nintendo are making a great effort to support third-party developers, we’re very optimistic on the Switch though we are not announcing anything specific today”. Since Take-Two collaborated with Nintendo on Switch’s announcement video by showcasing NBA 2K on the new system, it’s likely that we will at least see that franchise on the console at some point. At the same event, EA Chief Competition Officer Peter Moore also had a few things to share about the Switch, and reconfirmed EA’s partnership with Nintendo on the platform. He also mentioned again that EA’s “major game that will be distributed on that platform”. “Nintendo has always been and will always be an very important partner in this industry. They have some of the best first party development studios in the world, and some of the most valuable intellectual properties in the world. We have announced publicly that we got a partnership with them on their new platform, the Switch, we haven’t talked in detail on what’s that about. You can imagine, as you heard, that a major game will be distributed on that platform. We’re huge fans. We have a relationship that goes many decades back. They’ve had some difficult times as if recently obviously, but never, ever, ever discount Nintendo in this marketplace, and their ability to leverage their superb game development opportunities. Their intellectual properties, whether it’s Mario, whether it’s Zelda, whether it’s Metroid Prime, we could go on forever about what they can do… obviously Pokémon, we’ve seen more recently. Moving on, Nintendo Everything interviewed Reinhard Pollice, THQ Nordic’s Business & Product Development Director, who confirmed that the publisher has 2 projects in development for the upcoming platform. If you would like to read the interview and learn more about their support of the Wii U, you can do so over here. Parity Bit has also revealed that it’s currently examining the possibility of bringing Derby Stallion to Switch, according to Toyo Keizai after interviewing Hiroyuki Sonobe, the creator of series. Derby Stallion is an horse-racing simulation series that has been around since the Famicom days, and actually just saw a new entry on 3DS back in 2014, so it’s good to see plans from a longstanding franchise, even though it isn’t that well known overall. Finally, we have a new The Engine Room episode from Image & Form, the SteamWorld series developement team, discussing the Switch, since it was one of the few indie studios to have access to a Switch development kit early on. You can watch the video below. 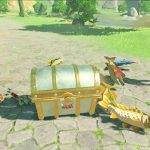 The Legend of Zelda: Breath of the Wild recently won the “Most Anticipated Game” prize at The Game Awards 2016. The game was also featured during the show, where we got a new trailer and another look at some gameplay footage. You can find those two videos below. The Legend of Zelda: Breath of the Wild’s teaser site is also now open. You can find the North American page here and the European page here. Nintendo has also revealed how each one of the 30th Anniversary Amiibo functions when working together with the game. 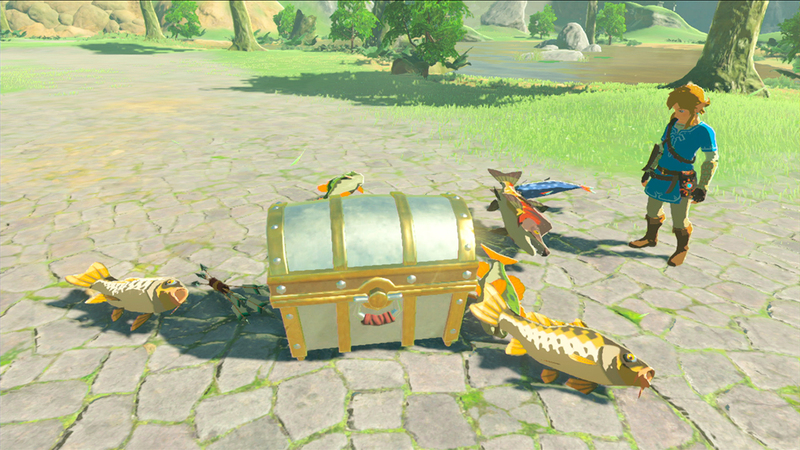 Each amiibo provides random items, and if you are lucky you may even receive a treasure chest with a rare item. – 8-bit Link will reward you with a random number of barrels. 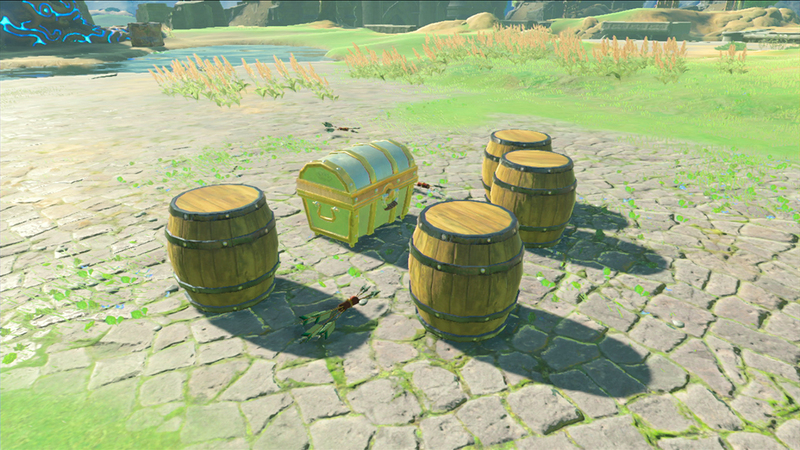 You might find rupees inside too! 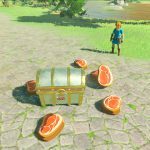 – Ocarina of Time Link will reward you with a random amount of meat. 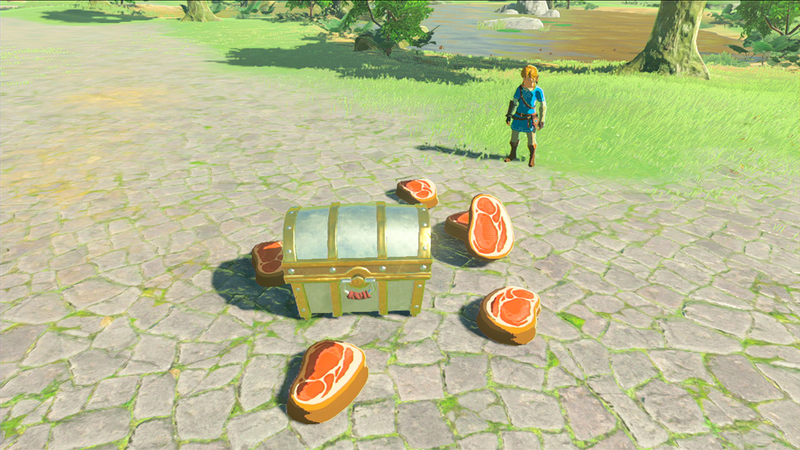 – Toon Link will reward you with a random amount of fish. 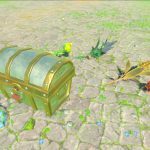 – Wind Waker Zelda will reward you with a random selection of plants. 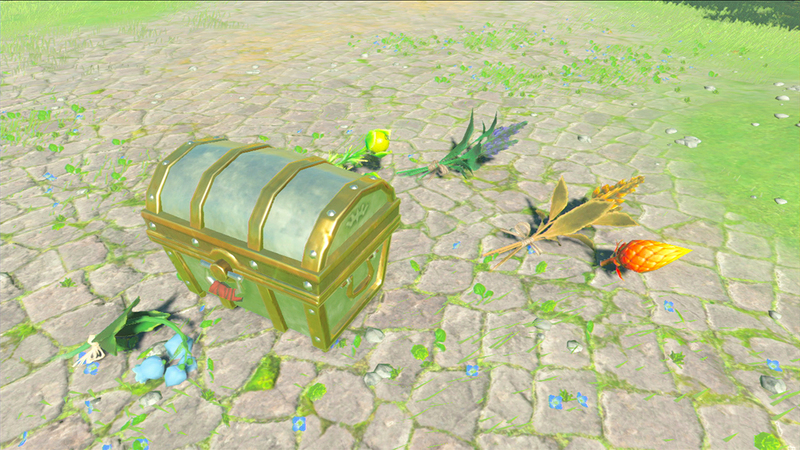 You can find screenshots illustrating these item gifts below. 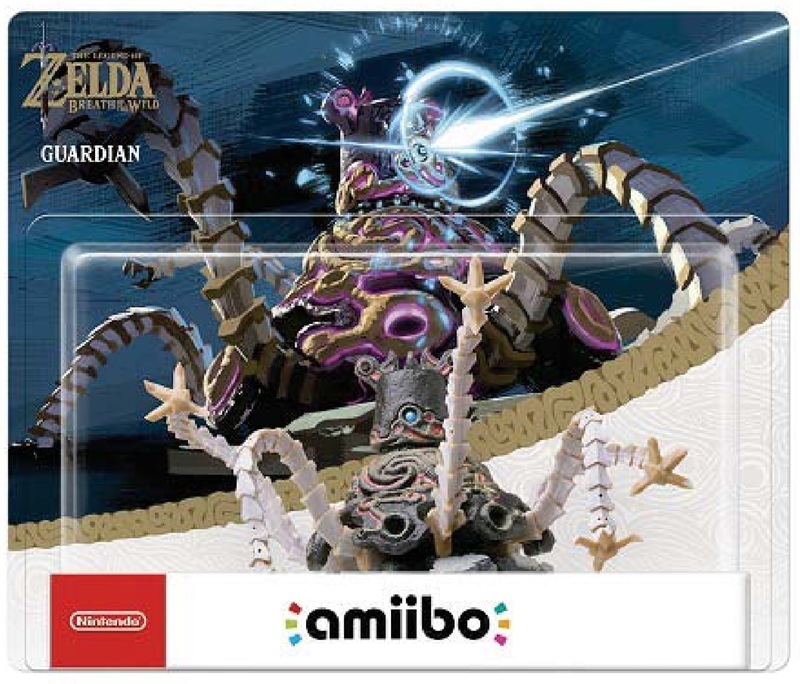 Finally, we also got a first look at the package for the Guardian amiibo, thanks to a recent CPSIA Certificate of Compliance that Nintendo posted. Check it out below. Pokémon Sun & Moon have been selling extremely well so far. Nintendo has announced that Pokémon Sun and Pokemon Moon are the biggest-ever launch of any game from the company in Europe. First week sales are over 1.5 million units, including more than 368,000 copies sold in the UK in the first week, which is quite notable taking into account the UK is usually one of Nintendo’s worst markets in Europe. The two games also saw the best launch week ever for a Nintendo-published game in France, selling over 425,000 copies. 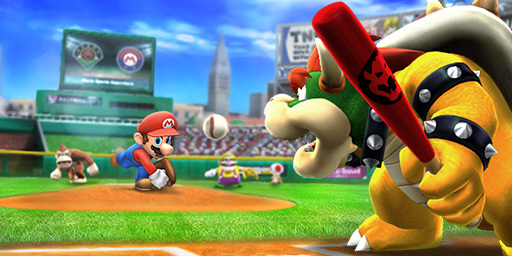 The games have also become the fastest-selling games that Nintendo has ever launched in North America. The two titles have collectively sold 3.7 million units in under two weeks in that region. That said, Pokémon Sun & Moon experienced an 85% increase over Pokémon X & Y, which previously held the records as Nintendo’s fastest-selling games during the same period. The games were also the most pre-ordered games in Nintendo history. You can read up on Nintendo’s announcement regarding that below. On the other side of the ocean, we know that the games moved 1.9 million copies in the first three days in the market, but Media Create has now reported that Pokémon Sun & Moon sold 375,665 copies in Japan between November 21 and November 28. The split was 197,000 units for Sun and 179,000 units for Moon. That means each version sold about a fourth of their first week sales. Pokémon X & Y also saw about the same reduction rate when they were released. Counting the two games from the Double Pack, Sun & Moon’s total sales as of the second week are 2,281,000 copies, which is just slightly lower than X & Y’s two-week total of 2,340,000 units. Finally, you can find a new Japanese Christmas commercial below, followed by a new Game Center DX episode dedicated to Pokémon Sun & Moon. Meloetta can now be downloaded to your copies of Pokémon Omega Ruby, Alpha Sapphire, X, and Y, until December 24, via Mystery Gift Internet, as part of the 20th anniversary celebrations. You can find a promotional trailer for this below. Besides this, you can also now get Arceus via Mystery Gift Code, which is the same Arceus that was distributed a few months ago in stores. That said, you can’t get it if you already got it before through that method. For those that didn’t get it before, you can use the code ARCEUS20 in North America, and ARCEUS 2016 in Europe, to download it into your games. 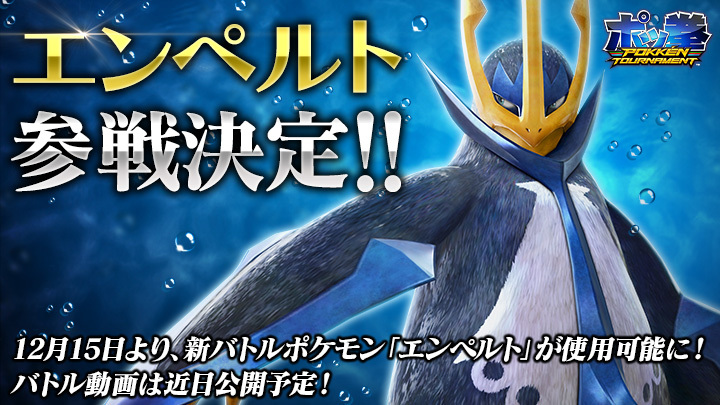 Bandai Namco has announced that Empoleon will be added to the arcade version of Pokkén Tournament as a playable fighter on December 15. A trailer should be popping up sometime soon, so keep checking back until then. Niantic’s new version of Pokémon GO’s Nearby feature is now starting to be deployed to a wider region, according to a new message from the developer. We will be expanding the Nearby Pokémon feature to the rest of the continental United States and large parts of Europe. We will continue to review the feedback submitted on our official social media accounts and in other channels and make changes if necessary. Besides that, you might also want ot know that Pokémon GO has been recently named the top-trending game of the year on Google Play. Episode 15 of Pokémon Generations is now available on the official Pokémon YouTube channel. Check it out below. Game Informer recently published a one-page preview on Mario Sports Superstars sharing a few new details about the game. The magazine notes that single matches and tournaments can be played for all sports. You start out by choosing a couple of captains comprised of the bigger characters such as Mario, Luigi, Peach, and Bowser, and then the rest of the team is filled in with less prominent characters like Goombas, Magikoopas, and Toads. Arcade elements such as special moves and abilities are also part of the experience. It’s also said that pitching in baseball is timing-based. Super Mario Maker for 3DS has now been released, but you can still find a couple of new trailers for it below. Following that, you can also watch the latest episode of Nintendo Minute, where Kit and Krysta show off some of the levels they’ve created in Super Mario Maker for 3DS . Shigeru Miyamoto will be present at the SoHo Apple store in New York on December 8 to discuss Super Mario Run. TV personality Katie Linendoll will be handling an in-depth chat about the mobile game. Attendees will also “get an exclusive look at Super Mario Run before it’s released”. Moreover, a new My Nintendo video has recently been shared across Europe, revealing some interesting elements about the upcoming integration with Super Mario Run. Players will be able to earn points on the membership service, just like with Miitomo, likely through completing certain missions in order to earn Platinum Points. The video also shows Rally Tickets as an upcoming reward on My Nintendo. Tickets are needed to play Toad Rally in Super Mario Run. Aside from earning them on My Nintendo, you can also earn these in different ways like finishing worlds or through bonus games in your kingdom. Another Super Mario Run reward is depicted showing Toad. However, its purpose isn’t known as of yet. You can watch the video below (it’s in Italian though). Momotaro Dentetsu 2017: Tachiagare Nippon!! Nintendo has released a new Japanese introduction trailer for Momotaro Dentetsu 2017: Tachiagare Nippon!! You can watch it below. 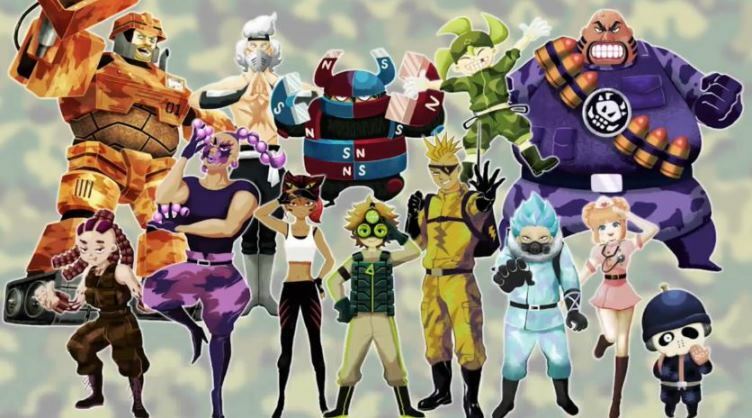 Nintendo announced Tank Troopers, a new digital title for 3DS, back in September during a Japanese Nintendo Direct. We now know thanks fo a Rakuten listing that Nintendo will probably publish the game in Japan on December 21, and sell it at an 800 yen price point. According to Nintendo, Tank Troopers “lets players customize their tank through special characteristics of tank-pilot Troopers, enabling abilities such as hitting enemies with a freeze attack, launching paint balls to block the opponents’ views or using electric shocks to stall rival tanks where they stand”. A six-person multiplayer mode is also included, plus Download Play. Nintendo has released a new Japanese introduction trailer for Miitopia and updated the eShop preview with new content and trailer. You can check out both videos below. Nintendo asked users to “wait just a little longer for this update”. 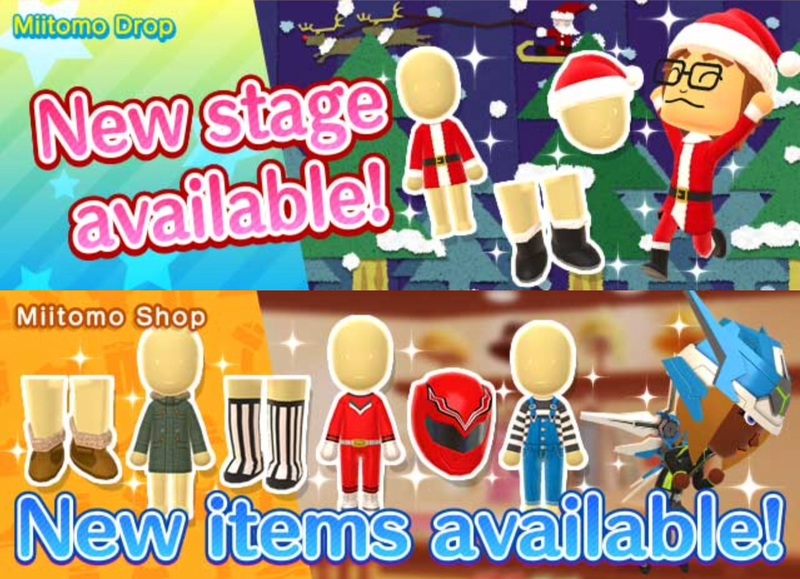 Meanwhile, the app has been update with the usual weekly Miitomo Drop and Miitomo Shop Items, which you can find rounded up below. Below you can find trailer for six more games from the Super Famicom that are now available on the Japanese New 3DS Virtual Console. The lineup includes Fire Emblem: Thracia 776, Super Famicom Wars, Kirby’s Star Stacker, Mario’s Super Picross, Pop’n TwinBee (Konami), and Live A Live (Square Enix). Each one of them is priced at 823 yen. Nintendo has released a new video showcasing the European digital game highlights from November 2016. You can find it below. Nintendo has shared new details about its theme park partnership with Universal Studios. In addition to Universal Studios Japan, both Universal Orlando Resort and Universal Studios Hollywood are being involved. A recent announcement notes that each park will share information about its specific Nintendo areas, and “the first such announcement will come soon”. You can find out more about Nintendo and Universal’s vision in the full announcement below. Kyoto, Japan and ORLANDO, Florida (November 29, 2016) – Imagine the fun of stepping into a larger-than-life Nintendo adventure. Gigantic Piranha Plants spring to life. Question blocks, power-ups and more surround you. And Mario and all his friends are there to pull you into a brand-new world. Besides this, Nintendo has also released a new video featuring Nintendo’s Shigeru Miyamoto and Mark Woodbury from Universal Creative, sharing some early insights into the collaboration between both companies. You can watch it below. The final entry in Nintendo’s NES Classic Edition interview series is now available and focuses on the original Metroid. In it, director Yoshio Sakamoto and character designer Hiroji Kiyotake talked about such things as how the team set out to make something different from Super Mario Bros., and how Samus Aran got her name and the team decided to make her female. 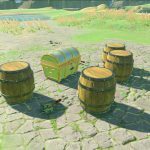 You can find the english translated interview over here, on Nintendo of Europe’s website. David Young, now working at PR for Nintendo, used to be a counselor for the Nintendo Power Line back in the NES days. VICE recently interviewed him to talk a little bit about its history, including how it started. You can watch the interview below.